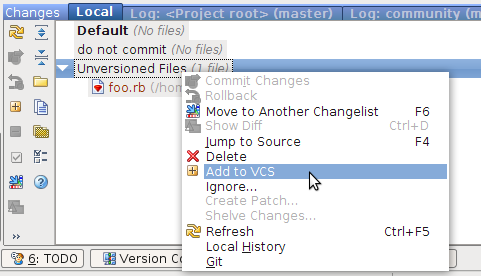 With my top level project folder selected, I click the Commit Changes button in the toolbar. The window that appears shows all of my modified and deleted files, but shows 0 new files. 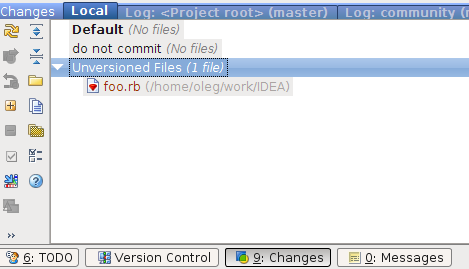 A quick git status from the shell shows a number of untracked files and directories. Using RubyMine, how can I add those untracked files to the repository? All your untracked files should be there. You can add them to git using context menu item Add. You can either add all the files listed or select some of them manually.